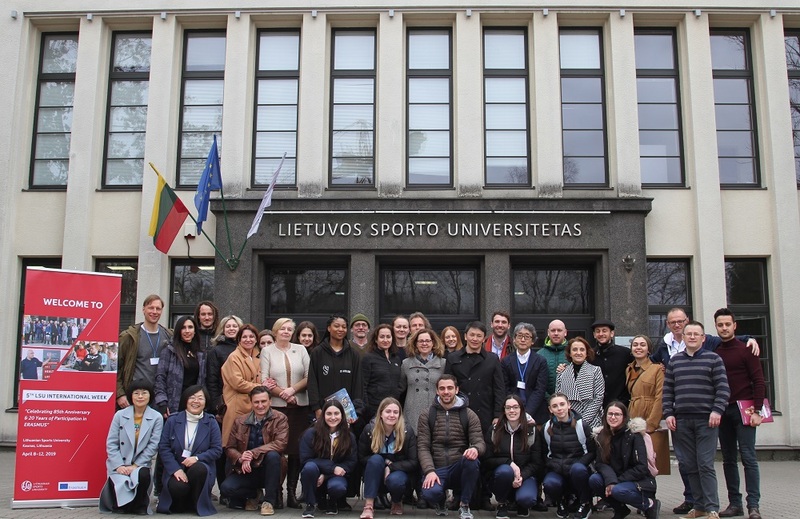 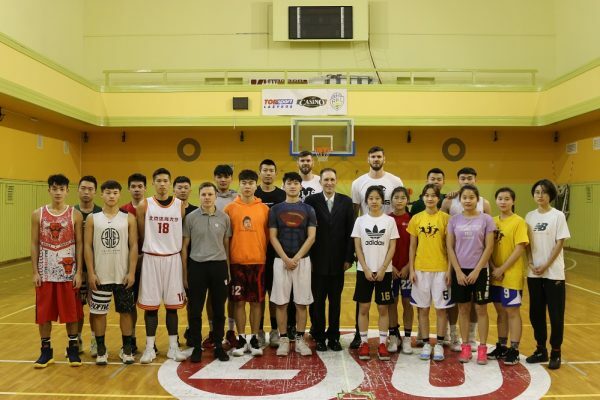 Lithuanian Sports University master’s degree students, basketball players Darjus Lavrinovic and Ksystof Lavrinovic organized a basketball training session for future basketball coaches from China studying at the University. 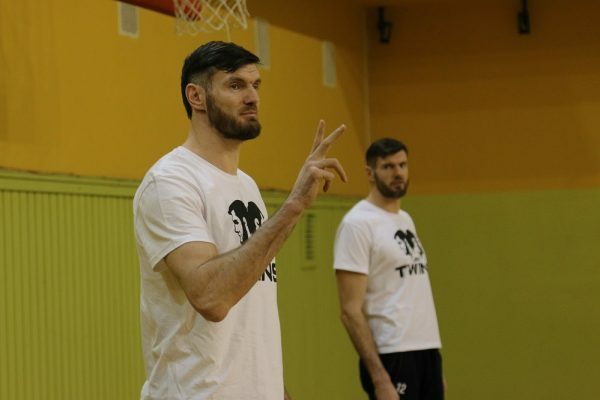 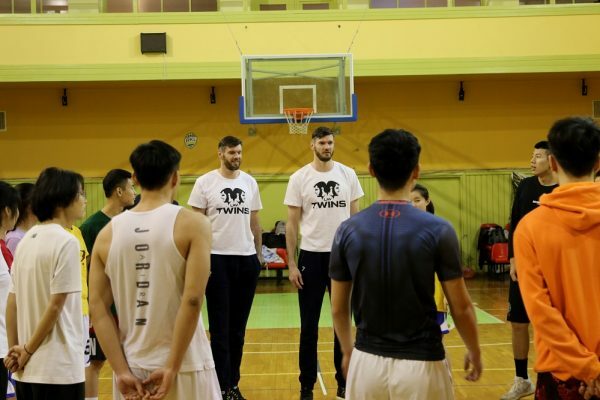 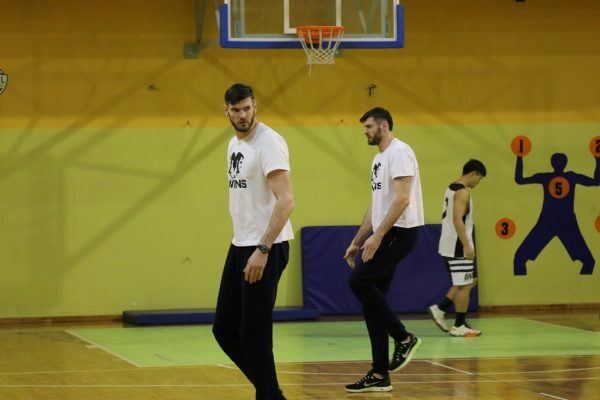 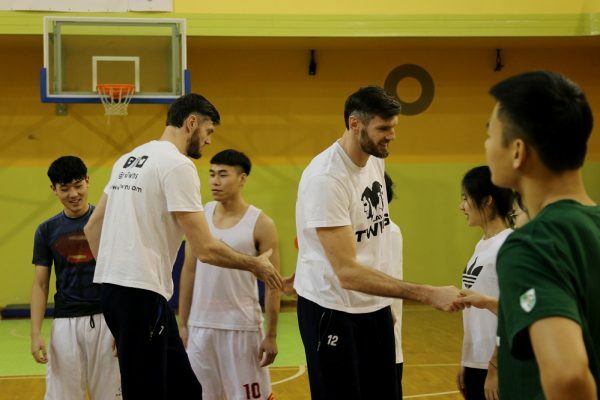 The Lavrinovic brothers revealed some secrets of basketball and showed the students of Beijing Sport University how to properly warm-up and train. 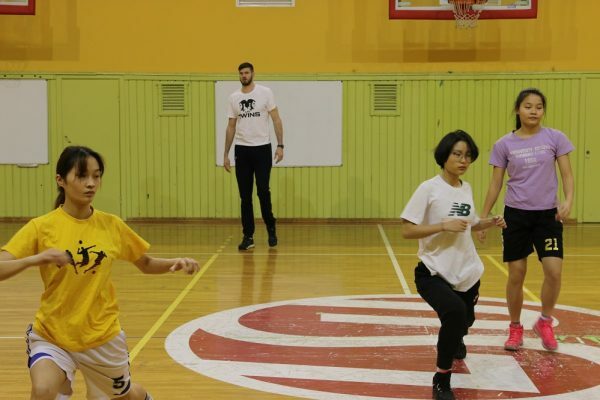 Thirty-three Chinese students will spend at LSU one year. 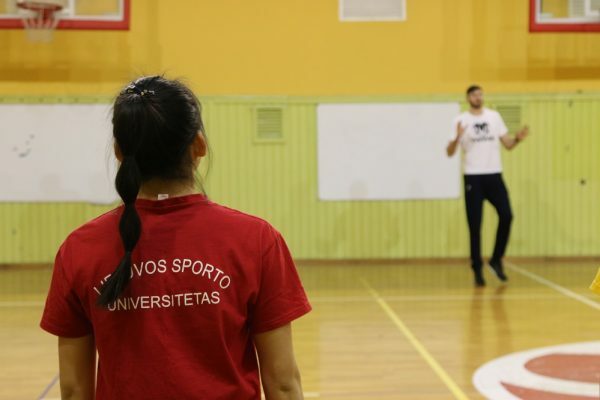 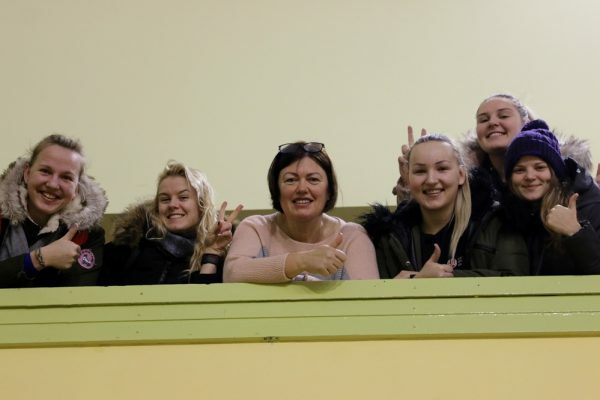 They are pursuing the bachelor’s and master’s degree in Sports Coaching and master’s degree in Basketball Coaching and Management. 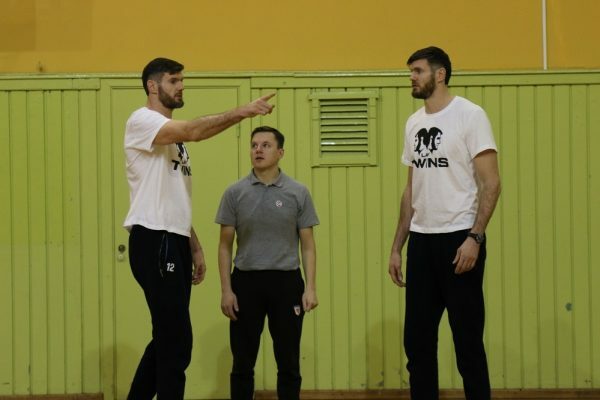 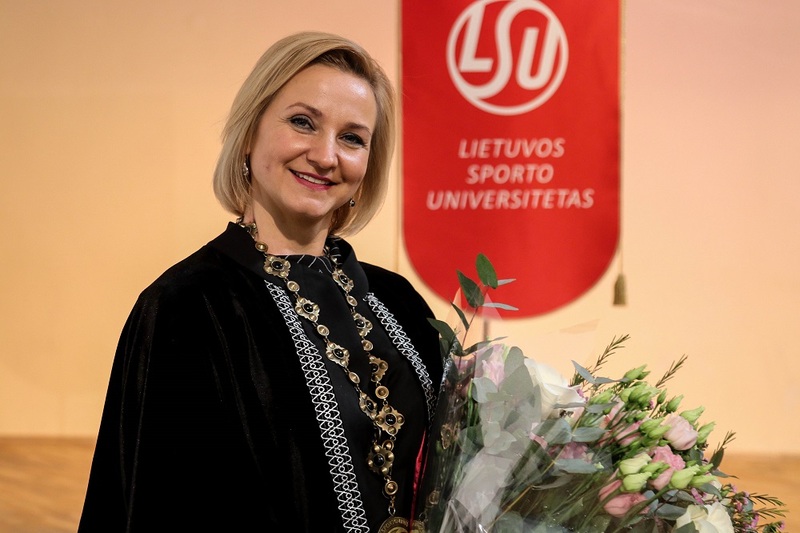 The Lavrinovic brothers have earned bachelor’s degree in Sports Coaching, and now continue their studies in the master’s degree programme of Education Sciences.